Just before LFW kicked off, the ASOS team invited me over for a little beauty chat. If you haven’t caught any of their #BeautyChat Google Hangouts yet, keep a (smokey) eye out for them. They invite their favourite beauty bloggers into ASOS Towers and host a super fun, interactive Q&A for half an hour to solve all of your beauty conundrums. When I popped down, the impossibly beautiful Patricia Bright was hosting the Beauty Chat and gave out tons of expert advice; mauve lipstick was her top AW14 beauty trend, primer is her secret weapon for making make up stay put all day and she couldn’t sing Charlotte Tilbury‘s praises high enough. I learnt a ton and it’s always great to get an unbiased opinion when it comes to beauty, I trust real people over magazines any day. Ciate’s mini mani manor is SO adorable. Featuring 24 mini nail treats including 15 mini paint pots, 8 nail effects and 1 full size paint pot, this is the ultimate nail treat. As a frequent traveller, the In Transit set by This Works is an absolute godsend. I always go make up free on flights and usually bring some nourishing treats so my skin has a bit of a pamper to counteract the altitude and horrendously harsh AC. This kit has a lovely moisturising lotion as well as a muscle relief cream with a rollerball, perfect for long haul flights. When it comes to lipstick, I’m a little bit of a Mac addict. Ok, a lot of a Mac addict. 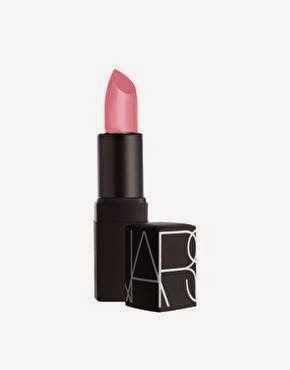 I branched out and tried out a Nars lipstick earlier this year and I was pleasantly surprised, super pigmented and also quite hydrating, it lasts all day without drying my lips. I went for Catfight which is a subtle pinky mauve colour but I am definitely going to invest in statement matte red lipstick as soon as my Mac Russian Red runs out. While I’m a fan of natural nails, I’m really over squoval nails but growing slightly pointy, oval nails is almost impossible. 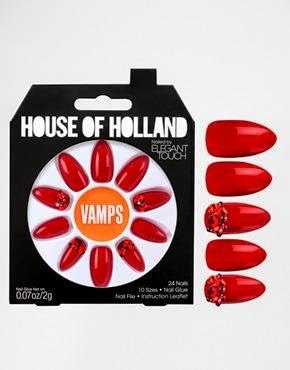 I love House of Holland’s falsies for Eylure and this bold more-is-more set are my current obsession. Go hard or go home. One of the downsides of constantly gallivanting around London is not reaping the benefits of getting a proper eight hours of sleep. 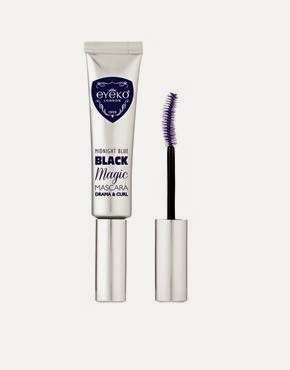 I fake a good night’s sleep with regular exfoliation to keep my skin bright and Eyeko’s blue mascara, my secret weapon due to its eye brightening effect.